Just so you all don’t think I’ve lost my marbles and turned this blog into Wild Kingdom – Cogan Station, with all the recent deer sightings and fawn births, I am posting the Don’s Delight, a Carrie Stevens pattern, as promised, “before too long,” from a few days ago when I posted the Don’s Special. 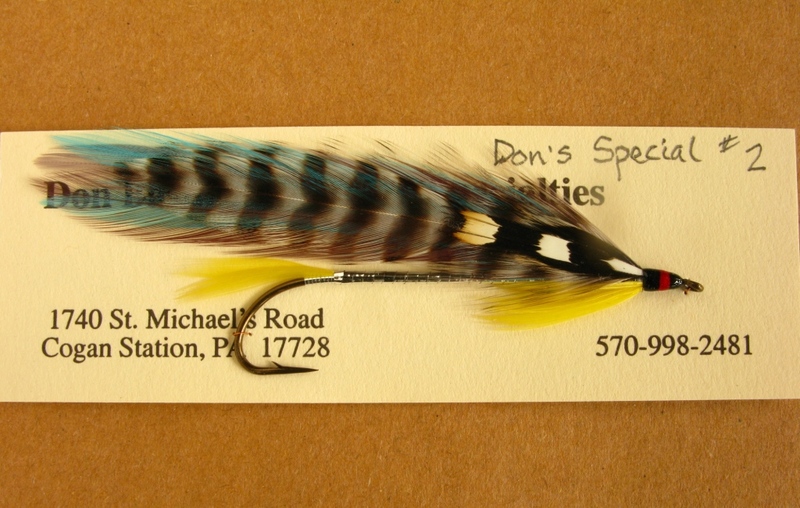 The Don’s Special was one of three streamer patterns that Carrie G. Stevens, of Upper Dam, Maine, created for George Donald Bartlett. Don Bartlett first visited Upper Dam in 1909 at the age of nine. He made annual trips there for thirty-six consecutive years until his untimely death in 1945 at the young age of forty-five. Don was from Willimantic, Connecticut, as were a couple other notable Carrie Stevens friends, customers, and guide clients of her husband, Wallace. 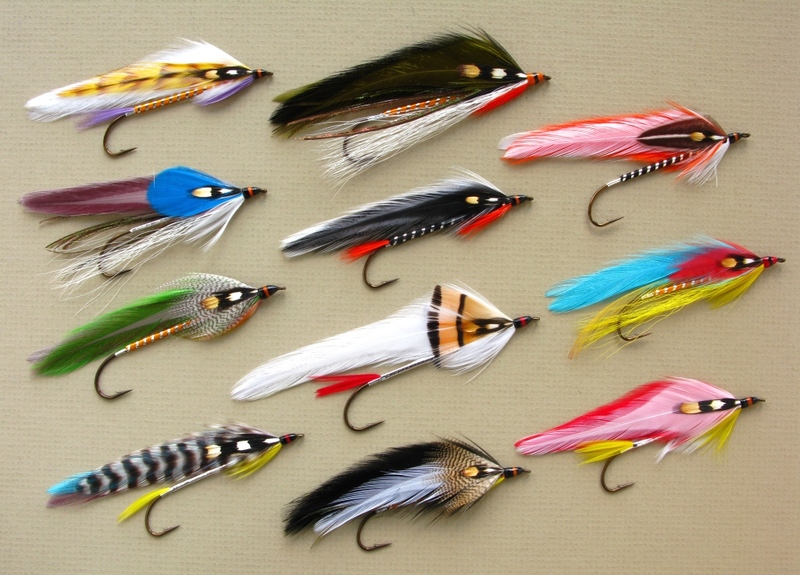 These included Frank Bugbee, for whom Carrie never created a fly, but it was he who thought of the name, Gray Ghost, for Mrs. Stevens most famous fly, indeed, the most famous streamer ever created, bar none. The third individual was Alfred “Allie” French, for whom Carrie created the Allie’s Delight and Allie’s Favorite. 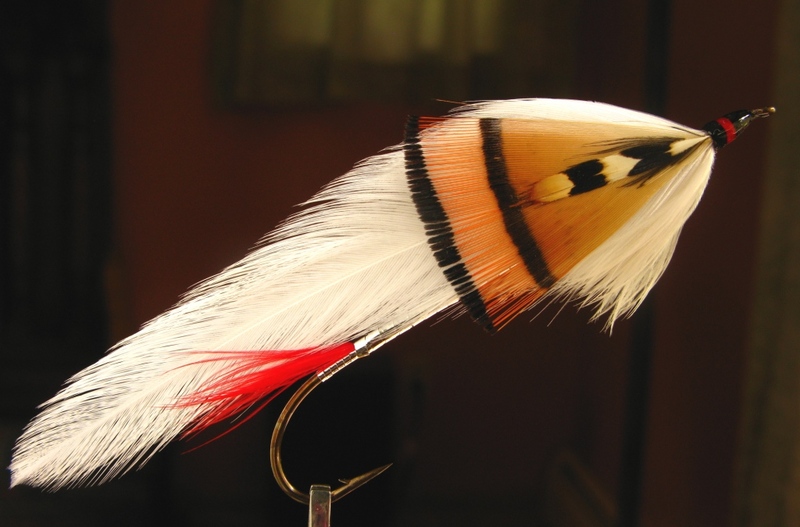 I mentioned not too long ago that among thirty-five Rangeley style streamer patterns I have recently created, one of my patterns, designed in honor of Frank Bugbee, is called Bugbee’s Ghost. 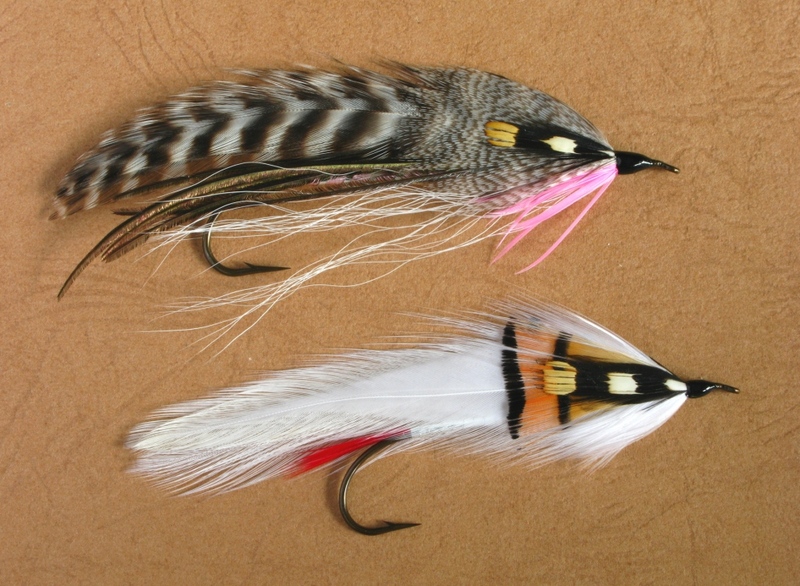 I promise to tie Bugbee’s Ghost and get it on here “before too long.” As part of that collection, I have also tied my original patterns – Carrie’s Ghost and Carrie’s Killer. They have been sitting here for weeks, patiently waiting for their photo shoot. 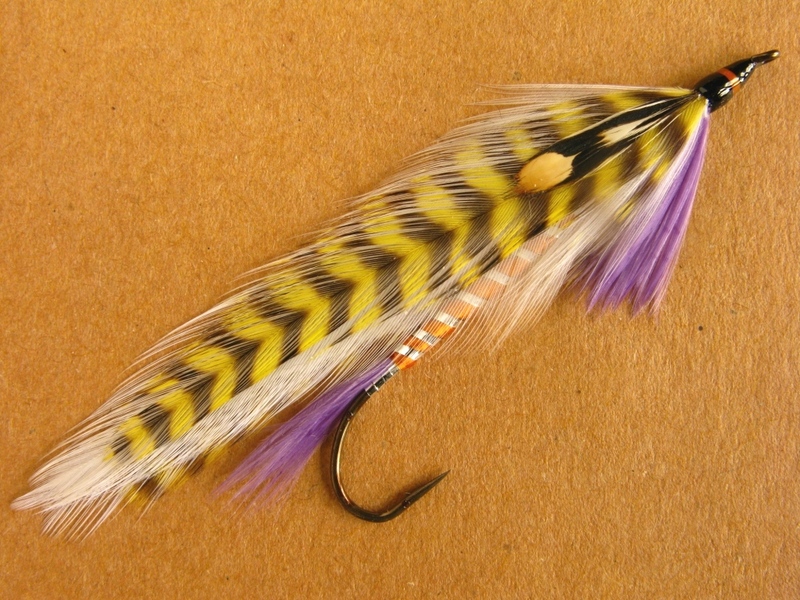 Don’s Delight – hook is a size #1 – 8x long, Gaelic Supreme Martinek / Stevens Rangeley Style streamer. Tied and photographed by Don Bastian. Two card-mounted Don’s Delight streamers. Tied and photographed by Don Bastian. 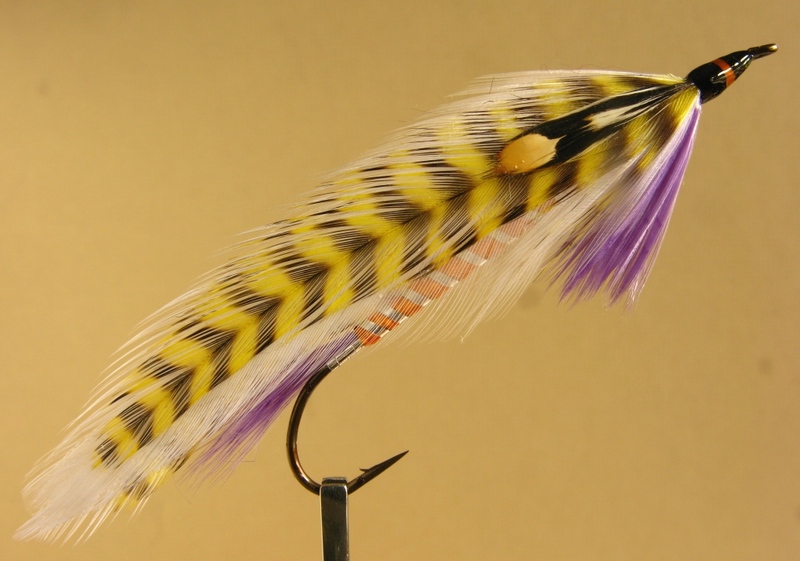 Don’s Delight – size #1 – 8x long, tied and photographed by Don Bastian. 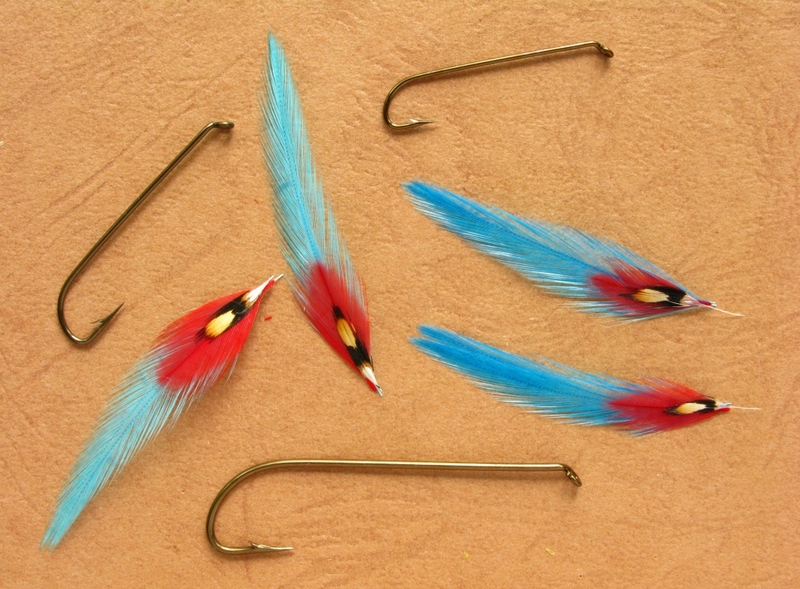 Hook: Any standard long-shank streamer hook, sizes #1 to #8, 6x to 10x long. 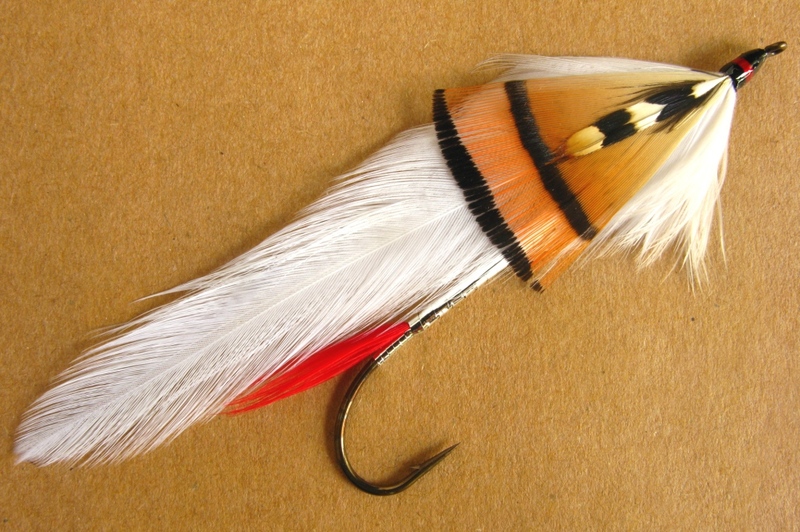 The Don’s Delight, as a predominantly white streamer pattern, is an effective baitfish imitating fishing fly. This photo presents the trio of patterns Carrie Stevens created for Donald Bartlett: Top to bottom: G. Donald Bartlett – #2 – 8x, Don’s Delight – #1 8x, and Don’s Special – #2 – 8x. Tied and photographed by Don Bastian. The G. Donald Bartlett streamer is one of three patterns created by Carrie G. Stevens of Upper Dam, Maine, in honor of George Donald Bartlett, of Willimantic, Connecticut. Don as he was known, made his first visit to Upper Dam at age nine in 1909. For thirty-six years, Don made annual trips, sometimes two a year, to Upper Dam. Don met Charles E. “Shang” Wheeler around 1920, and they became friends. 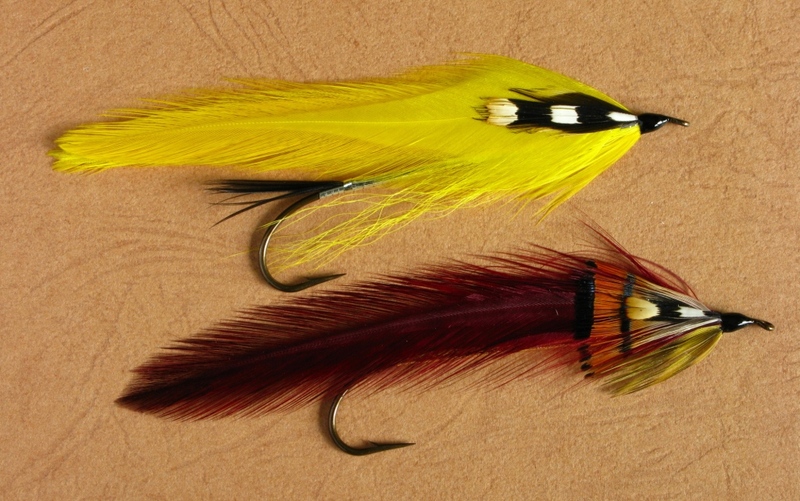 It was Shang who gave Carrie streamer hooks and materials in 1920 and encouraged her to try tying some flies. Mr. Bartlett was a client of Carrie’s husband, Wallace, who was a guide at Upper Dam. 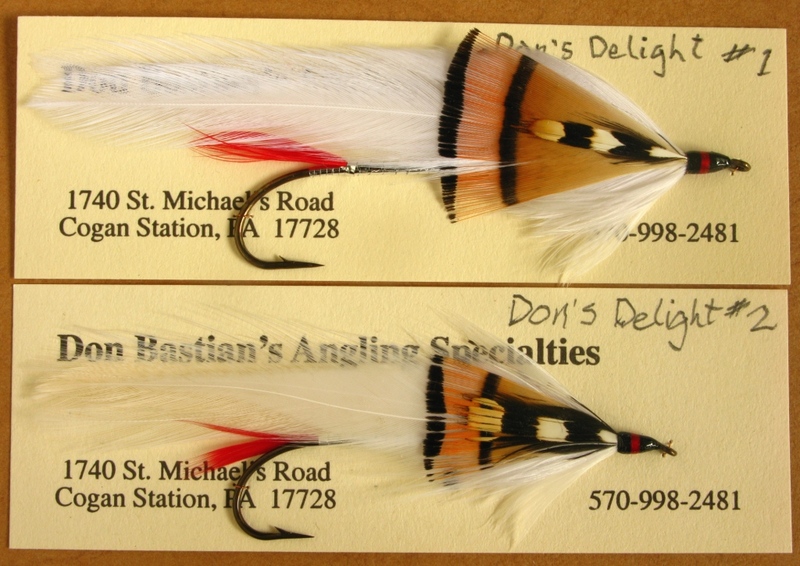 The other two streamers Carrie created and named after Donald Bartlett are the Don’s Delight and the Don’s Special. According to Don’s daughter, Lucy Bartlett Crosbie, he and Carrie shared ideas for new patterns, and Don enjoyed trying them out. 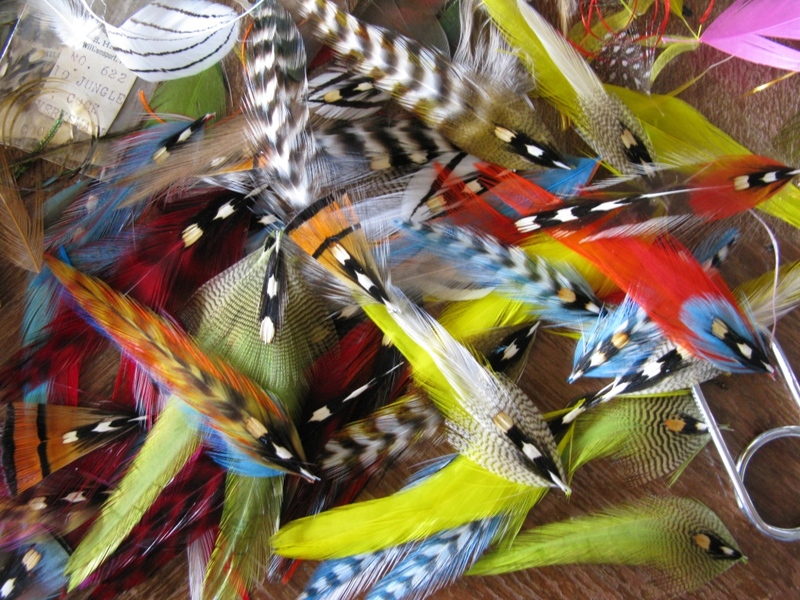 “He was extremely proud of the fact that she named three flies for him…” Notes from: Carrie Stevens: Maker of Rangeley Favorite Trout and Salmon Flies, Stackpole Books, 2000. Sadly Donald Bartlett passed away in 1945 at age forty-five. 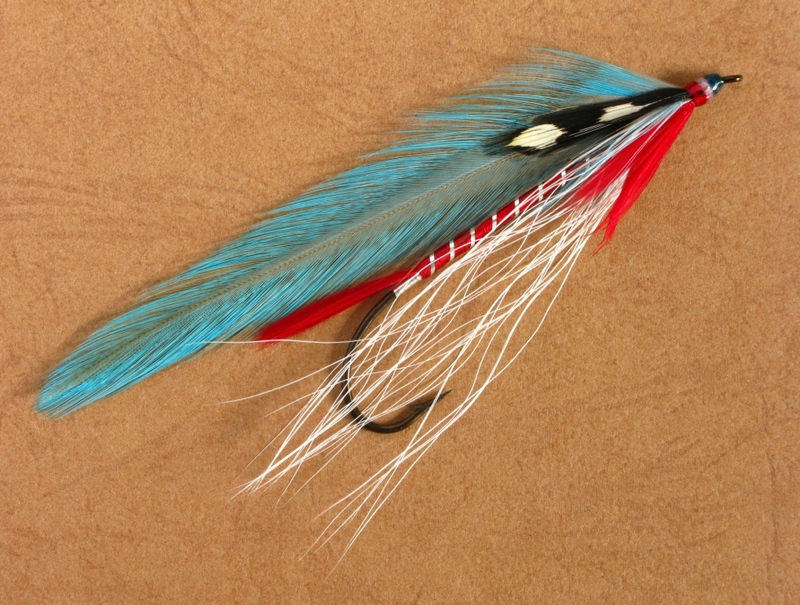 G. Donald Bartlett Streamer, tied and photogaphed by Don Bastian. 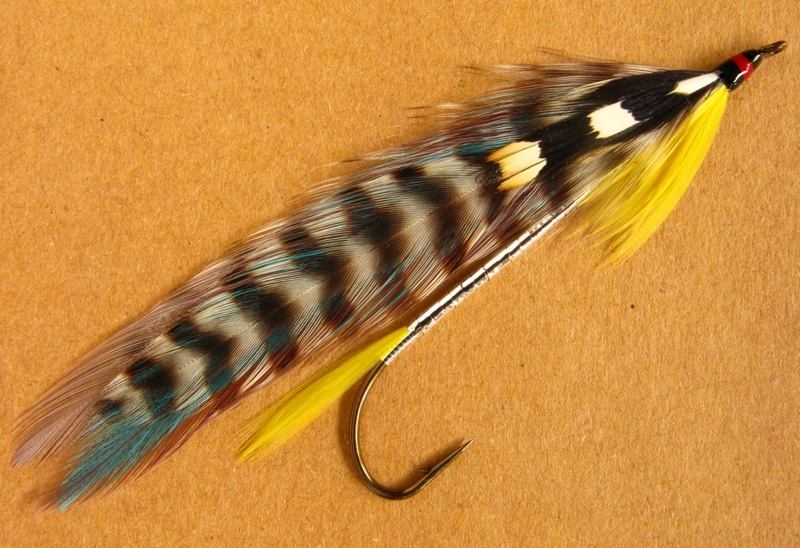 The hook is a Gaelic Supreme Martinek / Stevens Rangeley Style Streamer, size #2 – 8x long. 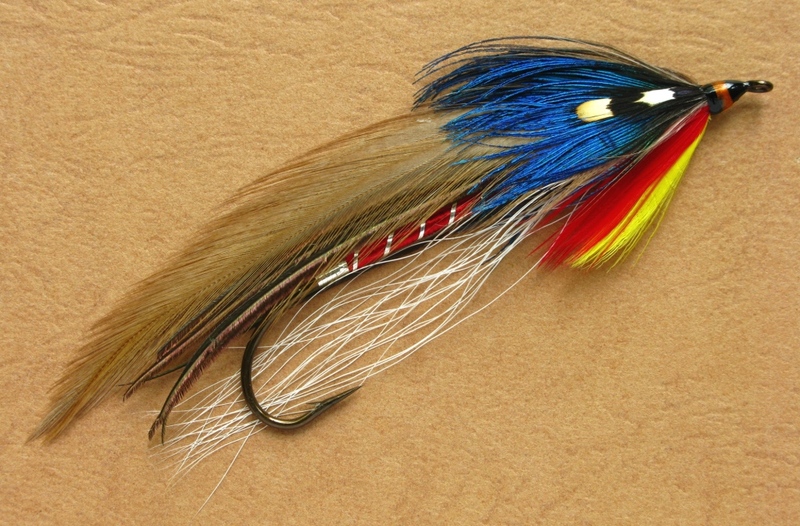 G. Donald Bartlett streamer, same fly as photo no. 1 but flat on a background mat, tied and photographed by Don Bastian. 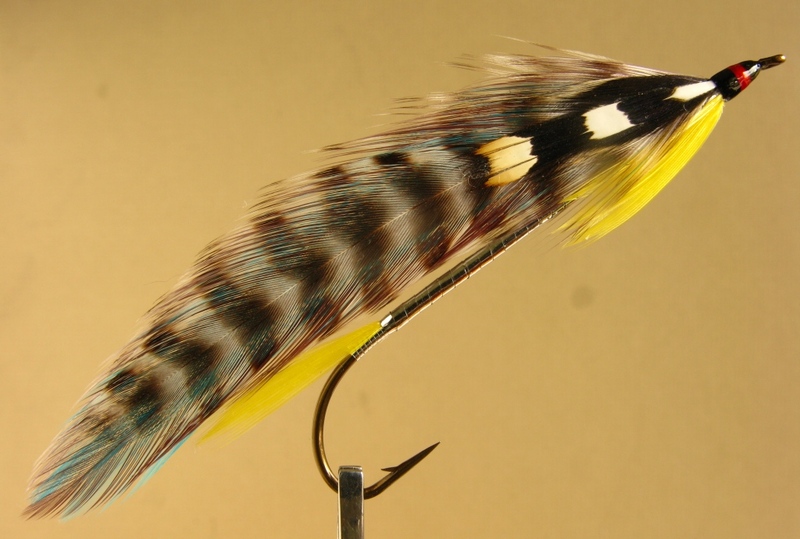 G. Donald Bartlett streamer, carded, and ready for packaging. Tied and photographed by Don Bastian. Thread: White Uni-Thread 3/0 or Danville 3/0 Monocord for underbody working thread (as an underlayment for the floss), then white Danville 6/0 for attaching floss and finishing up to the head. 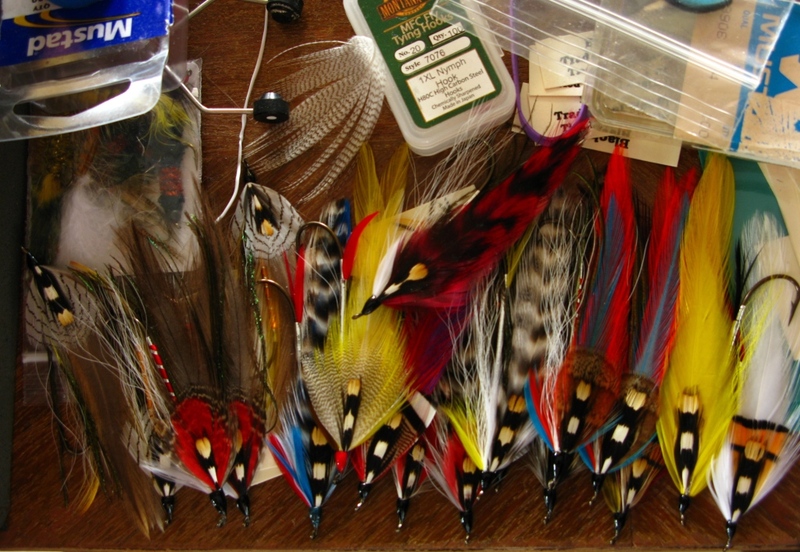 These photos of fifteen different Carrie Stevens streamer patterns that I tied in March was initially posted in my Cabin Weekend Fly Tying Session https://donbastianwetflies.wordpress.com/2012/03/11/cabin-weekend-fly-tying-session/ dated March 11th. I am posting them separately here with only the patterns identified for inclusion in my developing Carrie Stevens Pattern Dictionary. Eventually the recipes will be posted with photos of the individual patterns as I continue working on this portion of my blog. 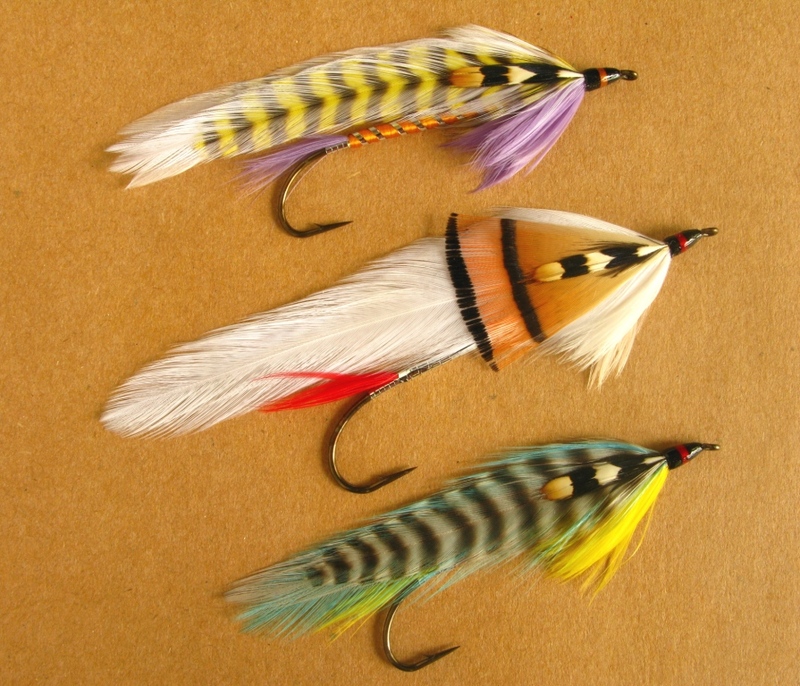 An assortment of Carrie Stevens streamer patterns, tied and photographed by Don Bastian. Left column: G. Donald Bartlett, Gray Lady, Rapid River, Don’s Special. Middle column: Lakewood, Larry’s Special, Don’s Delight, Larry. Right column: Lady Miller, Jenny Lind, Merry Widow. 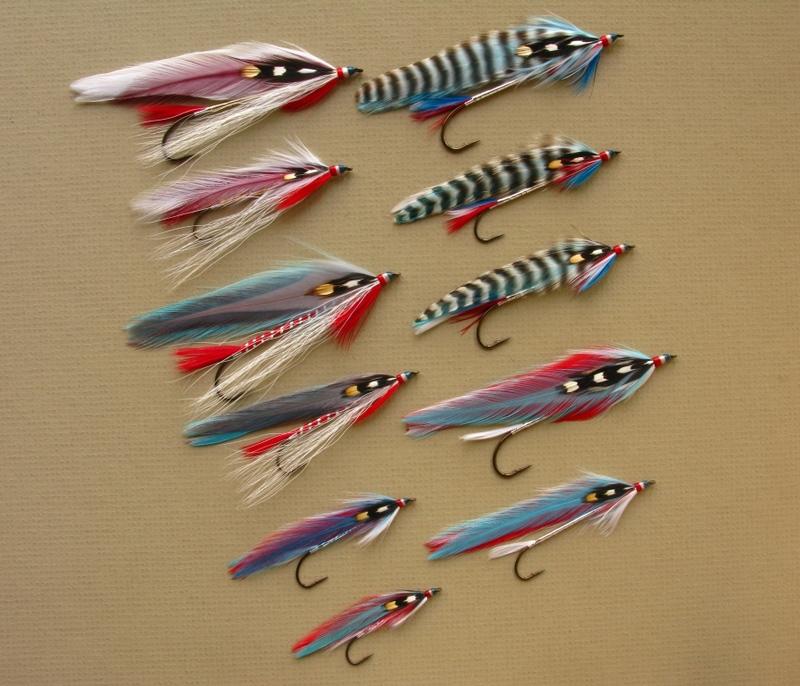 Carrie Stevens streamer patterns. This represents her entire patriotic series of four patterns that she created during World War II. Upper right – two of the Casablanca; center left – two Victory; upper right – three of the General MacArthur, and across the bottom, four of the America. Tied and photographed by Don Bastian. 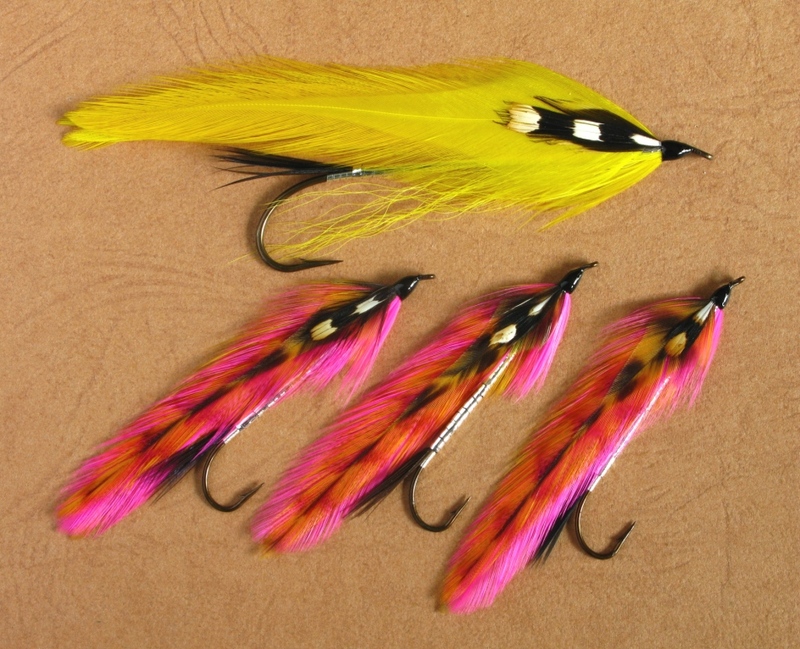 Hooks are all Gaelic Supreme Martinek / Stevens Rangeley Style streamers, sizes range from #1 – 8x long to #4 – 6x long.